We often think the future is going to look like an updated version of the present. But it doesn’t. Industry-changing ideas challenge all domains from engineering to industry culture. The issue we run into as consumers is, we’re constantly revising our definition of “normal,” so disruptive technology* feels more like a natural progression than it really is. As consumers, it’s easier connecting the dots looking backwards, after an idea has already taken root. Before ideas and new technologies gain mass adoption, they are usually met with uncertainty; in fact, many of our greatest inventions were built on the popular opinion that their existence was impossible**, which is why predicting the future is so hard. But it’s not only scientists who are poor predictors of the future. The political science writer Philip Tetlock tracked 82,361 predictions made by “expert” political and economic commentators, nearly all of them having earned graduate degrees (over half with a PhD), and found their predictions to be worse than “crude extrapolation algorithms,” for example, calculating that what happened last year will remain consistent, i.e. the economy will grow at the same rate as the previous year. Tetlock's research also found that the experts with more media appearances were the least accurate in their predictions. We shouldn't be too hard on our panel of experts—researchers have found that all of us are poor at making predictions, everyone from software developers to doctors, lawyers, engineers, and car mechanics, leading some to ask: How can experts know so much, yet predict so poorly? The more we learn, the narrower our thinking becomes. As we become more competent and confident in our careers (brilliant people included) our perception of the industry we work in becomes more refined. What was once large and intimidating is now manageable and comfortable. Years of experiences allow us to make informed decisions quickly, which is why we are so good at what we do, but it also acts as a trap when we are confronted with ideas that challenge the constructs we take for granted. Someone with fresh eyes, even if they are a beginner, can see an expert’s blind spots. The cognitive psychologist John L. Horn named this type of thinking crystallized intelligence, because we rely on knowledge and experience to inform our decision making. Fluid intelligence is the ability to identify patterns and relationships in novel problems without knowledge of the past, and this is why young people in start-ups who “don’t know anything” and are “doomed to fail” end up revolutionizing an industry. Since both crystallized and fluid intelligence have their benefits, is there a way to have both or are experts and novices caught in an odd catch-22? 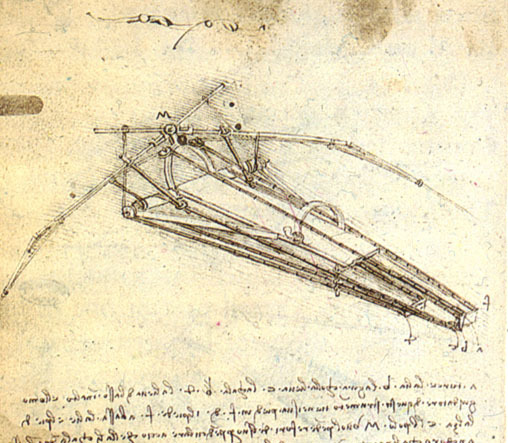 Leonardo da Vinci, one of the most disruptive people in human history, wrote about “connecting the unconnected,” where he would force connections between two unrelated objects or ideas to find uncommon relationships others were blind to. According to da Vinci, “everything connects.” If you start from this premise, that everything is possible, you will be more open to new ideas. Instead of immediately dismissing an idea, you will begin looking for connections. Use da Vinci’s exercise to avoid getting stuck in the echo-chamber of your reality. If you catch yourself thinking, that will never work or that is a stupid idea, ask yourself if you can connect it. Even if it does end up being an unproductive idea, the exercise will push you to see connections, and you will start noticing novel connections elsewhere in your life. And who knows? One might be disruptive enough to change your industry.